Little Phil: Get free LPC tokens from the charity platform on blockchain! If you’re the type of person who loves the feeling of giving to others. But you want to see the direct impact of your giving and how your donations are spent. Then you’ll love what Josh and his team at Little Phil are bringing to the industry. They’ve partnered with Griffith University, one of the top 3% of Universities worldwide, in various aspects of financial services and blockchain technologies. And they’re focusing on charities. Because charities need help these days. Indeed, they face expensive upfront marketing intermediary costs that are prohibitive for smaller charities to engage with. And the industry has seen a decline of approximately 50% in donor engagement from younger generations. Little Phil will address these issues by providing Proof of Need and Proof of Impact reassurances to givers, thanks to the blockchain. Proof of Need: Each receiver gets a Unique Digital Identity (UDID), that is cryptographically secured. And Little Phil can confirm receipt of donated goods and cross-reference receiver history. These UDIDs are essential to establish authenticity and reduce welfare fraud. They ensure the funds or goods have been received by the appropriate person. Proof of Impact: All the donations are listed on a public ledger, along with the direct appreciation shown from the receiver to the giver, and social sharing impact statistics. Givers get notified the instant that their receiver acknowledges delivery of the items purchased for them and due to the UDID system they know that only the receiver they gave to could have taken delivery of the goods, confirming Proof of Impact on the receivers life. Finally, Little Phil will give charities access to donations at a much lower cost than they currently incur. They charge just 6% to maintain the platform. Little Phil Coin (LPC) is a utility token built around the ERC-20 standard on the ethereum blockchain. The max supply is 1,000,000,000 LPC tokens. All platform use of LPC requires it to be purchased from third-party exchanges. Demand for LPC from these exchanges increases in proportion to the growing number of people using the platform due to: all donations being converted to LPC, all future charity platform integrations using LPC; and all platform fees (capped at 6%) are payable in LPC only. How to get the free LPC tokens? It’s not really a cryptocurrency airdrop. But there’s a wide range of ways to earn LPC: From easy tasks, like following and commenting on social channels, to tasks requiring more effort such as writing a blog review. For those of you wanting to engage in simple tasks, the easiest way is to follow their Gleam Bounty and competition campaign. This campaign allows bounty hunters to claim an easy 12 USD worth of LPC. And it also comes with a unique referral link that grants 1 USD worth of LPC for each person they refer that enters the campaign. Each LPC earned also grants one entry to win 2,500 USD worth of LPC. Dear hunters, you can begin the hunt here. For those of you wanting to earn more LPC tokens, check their influencer bounty, which includes tasks that can be repeated daily such as commenting. And you can register here: You’ll be kept up to date on a scorecard that’s updated weekly. Of course, you can do both bounty programs at the same time! It has taken a while for them to set up the second bounty campaign but it’s now ready and under way! They decided to delay their ICO until they had an alpha product for the pre-sale (which is now live). And they should have their MVP for the main sale at the end of the year. Here’s the link to the new bounty campaign. And you simply need to fill up your name, email address, and ETH wallet address. Then check all the boxes and click on Continue. That’s it! You can now complete the tasks to get free LPC tokens. Not only do they have the same bounty referral link, but this time they also have a token sale referral link that offers up to 500 USD per referral (based on 20% of tokens purchased) that can be obtained when people register an account with them. So head to their website then register (and buy LPC tokens – because it’s a great project). And you’ll get your unique referral link. So you can invite your friends and family and get more free LPC tokens! 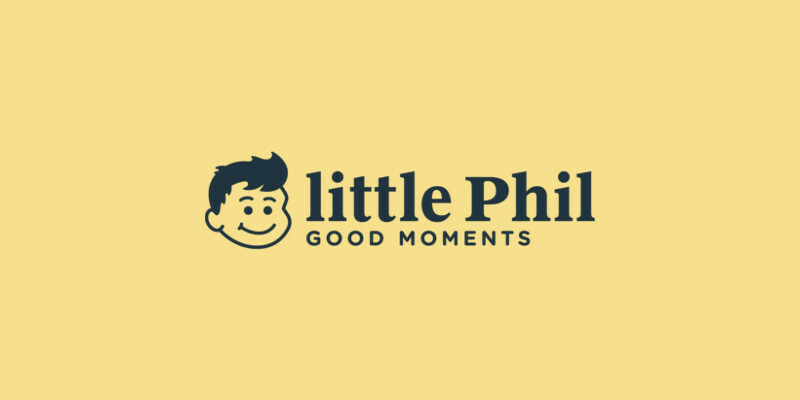 Little Phil is the future of charities, where each donation can be tracked. And where givers know that receivers get their donations. Claim your tokens now!